Jessie Gunn Cormack died 30th June 1937 aged 30 wife of David Bain of Argentine. Brother William Cormack died at New York 4th August 1927 aged 32. Brother John Alex Cormack died in action in France 23rd November 1918 aged 23. Brother James Cormack G F died 1st January 1941 aged 45. Father John A Cormack died 3rd October 1941 aged 70. 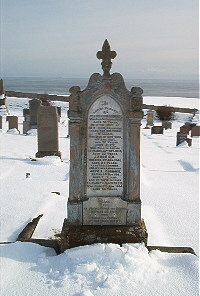 Mother Elizabeth Mackenzie died 5th February 1954 aged 86. Peace to my beloved father and mother brothers and sisters from Bella and family at Worthing Sussex.